April 9 (Associated Press) – Pele left a Paris hospital on Monday after being treated for a urinary infection. The 78-year-old Pele, who has been frequently hospitalised in the last few years for kidney and prostate procedures, was under care in the French capital since last Wednesday. Pele’s spokesmen Joe Fraga and Pepito Fornos did not say whether Pele’s treatment has been finished or if he will continue recovering at a hospital in Sao Paulo. The two are ambassadors for a Swiss watchmaker. Earlier on Monday, striker Neymar of Paris Saint-Germain visited Pele and published a picture of the former footballer looking well on his hospital bed. 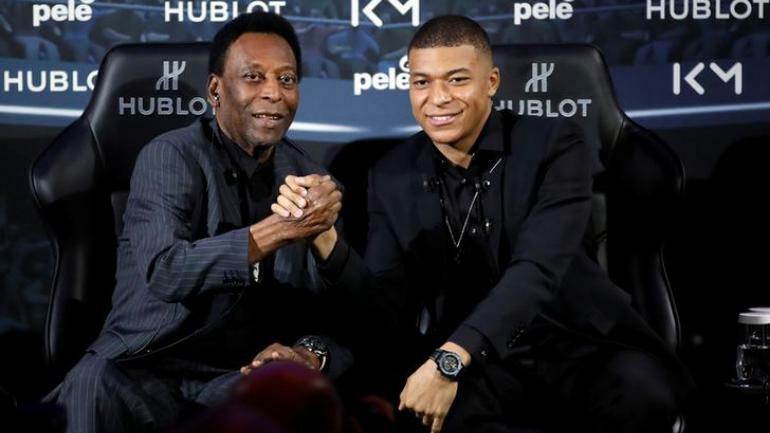 In November 2014 Pele stayed in a Sao Paulo hospital for two weeks, including some time in intensive care, because of a urinary tract infection. At the time, his Brazilian doctors said intensive care was needed because of excessive inflammation in his body.